ATHENS, Ga. – No. 5 Georgia broke a scoreless game in the bottom of the eighth inning with two runs to even the series with a 2-0 win over the No. 7 LSU baseball team Saturday afternoon in Foley Field. With the win, Georgia improves to 20-3 on the season and 4-1 in conference play while LSU drops to 17-6 overall and 4-1 in the SEC. 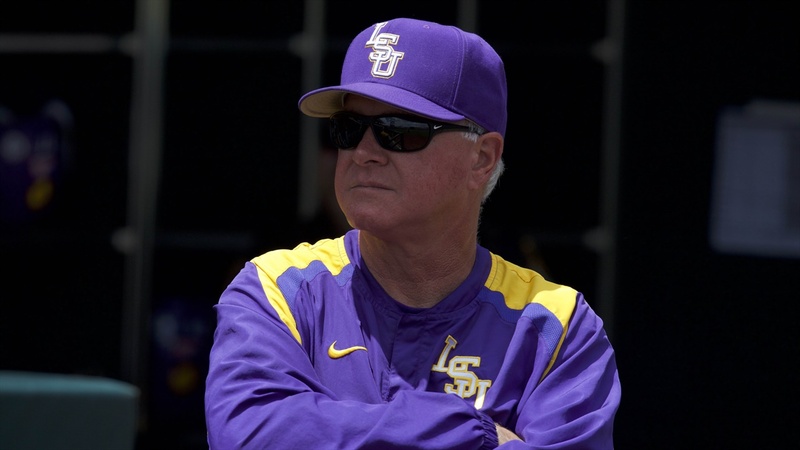 The rubber match between LSU and Georgia is slated for 11 a.m. CT Sunday. The game will be aired on the SEC Network. It will be broadcast on the LSU Sports Radio Network, including 98.1 FM in Baton Rouge. Fans can also listen to the game online at LSUsports.net/live. Georgia starter C.J. Smith worked six shutout innings, limiting the Tigers to four hits, one walk and seven strikeouts. Cole Wilcox threw 1.1 innings, walked one and struck out one. Justin Glover (1-0) fired 0.2 innings and earned the win, and Aaron Schunk recorded his eighth save of the year after limiting the Tigers to one hit in the ninth. Freshman Cole Henry (1-1) suffered the loss after firing a season-high 7.1 innings. The freshman limited the Bulldogs to two runs one two hits, walked one and struck out eight. Todd Peterson tossed the final two outs for the Tigers and gave up two hits. First baseman Chaney Rogers led off the bottom of the eighth inning with a single to right field and moved to second on a sacrifice bunt. Catcher Mason Meadows drew a walk to put runners on first and second with no outs before Peterson entered to pitch. Georgia called on pinch hitter Austin Biggar, who singled to right field to drive in Rogers. A base hit by shortstop Cam Shepherd loaded the bases for outfielder Riley King, who hit a sacrifice fly to right field, which allowed Meadows to score and finalize the contest at 2-0.